Powder makeup is seemingly everywhere these days — from the beauty counters to the pages of your favorite magazine — but despite its popularity, the category can be confusing and overwhelming. There are foundation powders, setting powders, translucent powders, mineral powders, baking powders . . . the list is endless. Even as an experienced makeup artist, I agree that it is hard to differentiate what is the best choice for each person. Before we dive into each type of powder, there are two important things to note as you start to experiment with powders overall. The first is that no matter how glorious any given powder may seem, if your skin is not healthy, it won’t work. It is imperative that skin is hydrated and exfoliated before any powder is applied. That’s because unlike creams, powder is dry by nature and also absorbs oil once applied. Any flakes or texture to your skin could be magnified or dried out with powder on it. It’s also essential to note that even though a formula is a bestseller at Sephora, that doesn’t mean it will work for you and your skin concerns. Choose a powder based on your skin type and needs, not what’s trendy. So, how do you pick the right powder for your skin and your needs? Keep reading — I’ve broken down some of the most popular formulas and textures so you can find a favorite that works for you. Most types of powders I outline below can come in both a pressed or loose format. A pressed powder is solid and typically in a compact, not unlike a blush or eyeshadow, while a loose powder is just that — a jar of loose powder. Picking between the two is often just a matter of lifestyle and preference. If you travel a lot, or like to carry your makeup in your purse for touch-ups throughout the day, you might want to opt for the convenience of a pressed powder. On the other hand, if you’re someone who only applies makeup at home (and never on the go) without needing to reapply during your day, you can consider a loose powder. I’ve often observed that many people skip the last (important!) step of their makeup routines: setting their makeup. After all makeup is applied, applying a translucent powder (which gives no extra boost in color or coverage) will ensure your look will last. The best translucent powders will also minimize the appearance of imperfections, like enlarged pores and wrinkles. If your skin is on the dry side, choose a powder with a glow or radiance. That means it has super small, shimmering (not glittery) particles in it. When you add a glow to the skin as your last step, light will bounce off of the skin, which will create a radiant look. 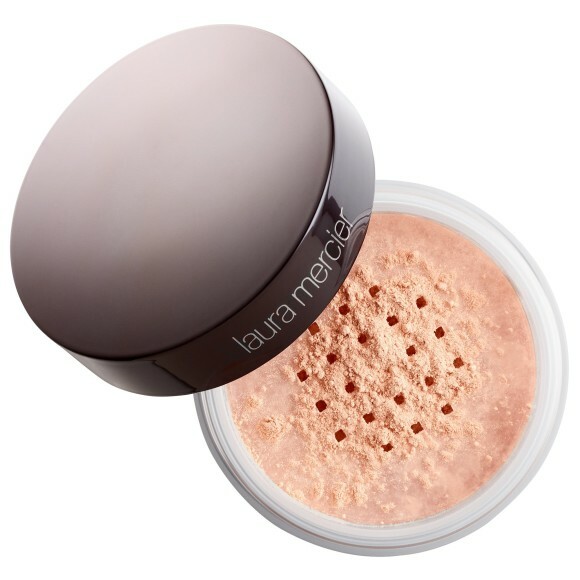 Laura Mercier® Translucent Loose Setting Powder Glow ($38) goes on beautifully with a velour puff or a powder brush, setting makeup for up to 12 hours and leave a soft, subtle luminosity to the face. If your skin is normal, combination, or oily, I like the original setting powder formula from Laura Mercier — the Translucent Loose Setting Powder ($38). This product is best applied with a velour puff. Generally, when translucent powders (especially those that contain talc) are dusted over the skin with a powder brush, the results will be look, well, powdery. That’s because this method causes the formula to settle in every nook and cranny and on the fine hairs of the skin. I prefer a technique that consists of pressing powder into the skin using a velour puff with a gentle rolling motion. This creates a flawless and poreless look, while avoiding a dusty or cakey finish. Those who are especially oily will swear by this method and this product, as it’ll quickly reduce the look of shine. This is practically the same thing as setting powder, but finishing powders tend to be more finely milled, meaning they have even tinier particles. These super silky powders can also be referred to as HD powders. That’s because the point of them is to not only set or finish your makeup, but deliver an especially filtered effect. This looks great on cameras (HD or otherwise! ).The gold standard in this category is the Make Up For Ever® Ultra HD Loose Powder ($36), which uses silica to create an airbrushed appearance to the skin while blurring pores and imperfections. If you don’t like the feel of traditional liquid foundations, or are prone to especially oily skin that you have to blot throughout the day, foundation powder (particularly one with a matte finish) is a great choice. It feels lighter and more breathable than classic liquids, and absorbs shine. This type of formula can also be buildable, meaning you can layer it to get more coverage. When I have clients that want a lot of coverage, I actually pair a powder foundation with a liquid, using the powder to set. Foundation powder adds a second layer of coverage while simultaneously providing staying power to makeup. 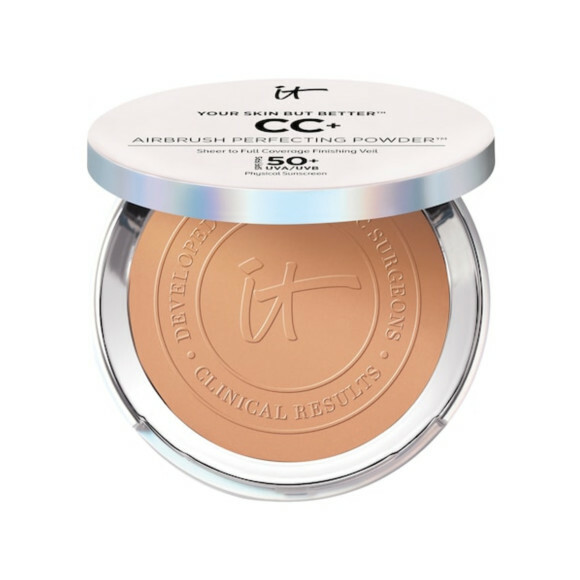 My favorite pick these days is the IT Cosmetics® Your Skin But Better™ CC+ Airbrush Perfecting Powder™ ($35). This powder also comes in an illuminating formula which is wonderful for those with drier or more mature skin, but if you have pore concerns, powders with glow or radiance can often accentuate them. This powder is talc free, and also provides SPF 50, which I’ve observed is a rare find in the powder aisle. Mineral powder can also be considered a foundation powder, and typically comes in a loose format. It is touted by many as “healthy” makeup, as these formulas are often free of talc, parabens, and feature more natural ingredients. Many women with sensitive skin find that they do well with mineral powder as their foundation, as minerals won’t irritate and are great at covering redness. 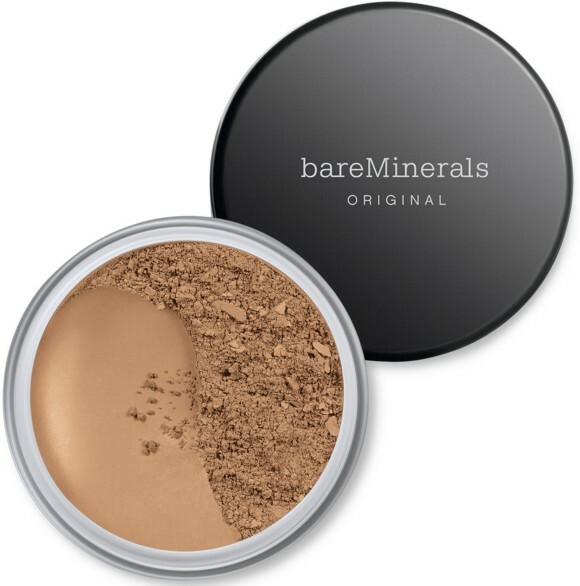 This is also a good choice for women who are oily and want a powder foundation that will reflect the light, as most of these products contain a high level of the mineral mica, which will bounce the light off of skin. If this category sounds ideal to you, consider trying BareMinerals® Original Foundation Broad Spectrum SPF 15 ($29) — it is one of the original products in the category and is beloved for its coverage and comfortable wear. Loose powder experienced a resurgence in popularity a few years ago, when a technique known as “baking” became mainstream. This involves applying a heavy amount of the powder under the eyes to set concealer. While the finished look can look incredibly flawless in photos, it’s only effective if there are no deep lines or imperfections under your eyes. Obviously, this disqualifies most people from this technique. If you are one of the many women who does not have a perfectly smooth undereye area, applying a dense translucent powder there will accentuate lines, which could age you beyond your years. However, that doesn’t mean you have to skip out on setting this delicate area altogether. 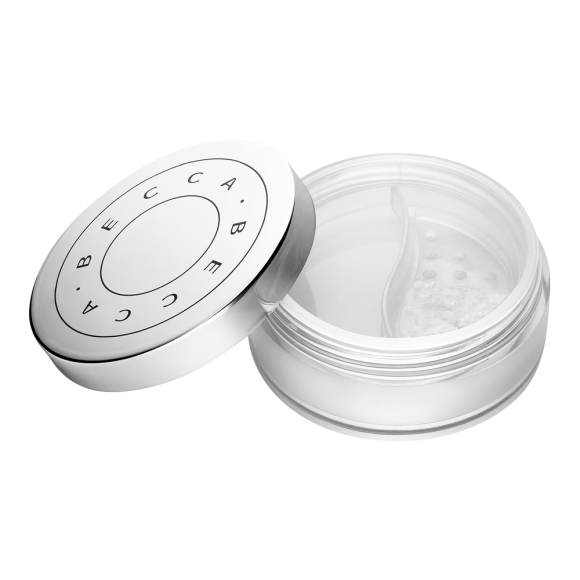 BECCA® Cosmetics Undereye Brightening Setting Powder ($25) works beautifully thanks to light-reflecting pearl powders that won’t settle into fine lines. Buying powders can be tricky and confusing, once you decide what your specific need or concern is it is likely that you can get by with just one or two powders in your life! Choose wisely when making that powder purchase.